Ce condo entièrement meublé jardin bungalow à l'Île-du-Prince Estates est à quelques pas de la rivière Bow chemins, parcs et toutes les commodités d'Eau Claire marche. A l'intérieur de grandes fenêtres inonder le salon et la chambre de maître avec la lumière naturelle. Off le maître est une grande salle de 4 pièces avec baignoire à remous et de blanchisserie-même. Le condo comprend plus de 1200 pieds carrés, une seconde chambre d'hôtes, une grande salle à manger, salon avec cheminée, y compris un parking souterrain avec accès sécurisé. Profitez de votre accès extérieur direct, avec patio en béton avec barbecue au gaz naturel inclus. Les équipements comprennent: télévision par câble à haute vitesse Wi-Fi, un parking sécurisé, y compris le stationnement des visiteurs, buanderie-en-suite, 9 pi plafond et cheminée. À proximité: Eau Clair marché avec salle de cinéma, YMCA, des boutiques, des restaurants, de la marche, du vélo et des pistes de jogging le long de la Bow River Parkway. Condo est du centre-ville à quelques minutes de marche du quartier Buisness de Calgary. 2 salles de bains, 4 pièces salle de bains avec baignoire à remous et douche, 2 ème semestre de bain hors de l'entrée arrière. Excellent location and a clean, nice condo. Our family really enjoyed our stay at this condo in Calgary. It is conveniently located right downtown near restaurants, bakeries, and public transportation. We came to town to see a Flames game and a symphony and were happy with how easy it was to access these as well as the Glenbow Museum and Calgary tower from this location. The condo itself is clean, well-maintained, and a perfect size for our family of four. There was a little issue with the lock app when we arrived, but Scott solved that in minutes, and after that we were impressed by how easy the app made things. It was a relaxing weekend in a great city - exactly what we were looking for. 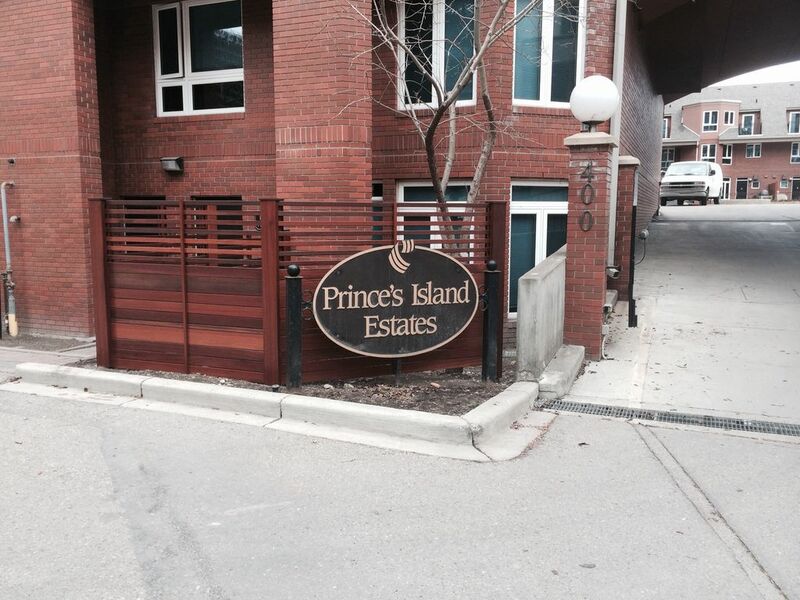 We enjoyed our stay at the Prince Island Estates in Calgary. The bungalow was clean, comfortable and cozy and the beds were comfortable. The bungalow has a pull out sofa bed in the lounge room, and there was a bit of a dip in it at the end so we would probably recommend the pull out bed for children. Our children slept on it and were comfortable. The bungalow is in a great location - easy walk into the downtown area, or the train station. It is right next to the river and very quiet. We texted and emailed Scott a few times before our check in, and he was hospitable and very responsive. Thank you for our stay in your lovely home. All the amenities you need. Awesome comfort and exceedingly convenient. This was our second stay at Scott’s place. So close to the river walking paths and Prince’s island! The condo is comfortable and well equipped. It is really central and quiet.